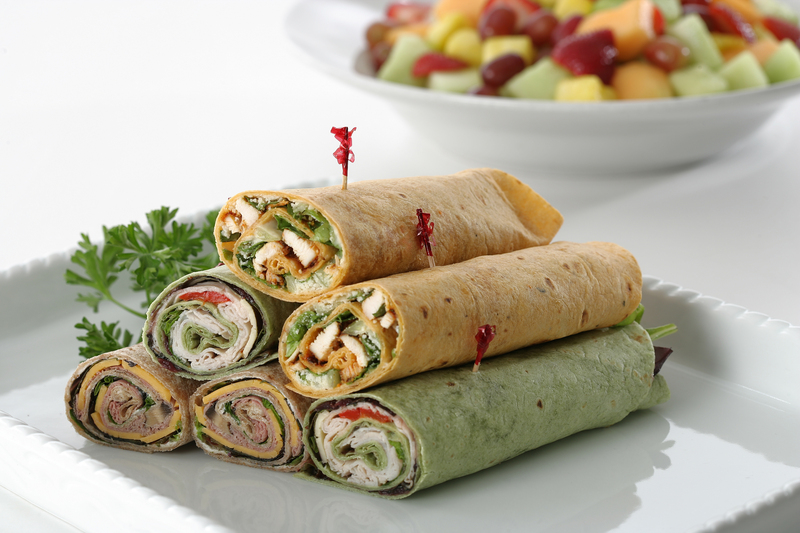 An assortment of our finest wraps made from Boar’s Head delicatessen meats and cheeses, and grilled chicken breast on a variety of tortillas with our special dressings. The assortment includes a pesto turkey wrap featuring Boar’s Head Ovengold® Roasted Turkey Breast, Boar’s Head Deluxe Roast Beef and cheddar, blackened Caesar, southwestern wrap, and vegetarian. Beautifully presented on a platter.